The world you live in is full of wonderful places that most people do not know they really exist. There are loads of sites where you can find these brilliant destinations. Before you jump straight in and book a destination, make sure you visit some comparison websites for example, Comparehotelprices.co.uk. The crescent-shaped Santorini is actually an island group. This gem of the Aegean is an active volcano and probably it is the only volcano whose crater is in the sea. Santorini is the most romantic getaway, since you can enjoy exquisitely clear waters while perched on the rim of a massive active volcano in the middle of the sea. 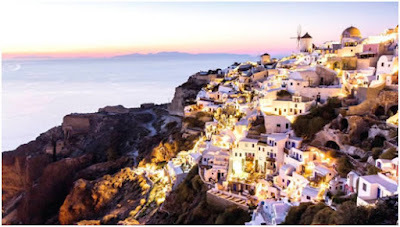 Fira, the capital of the island is perched high up on the edge of the Caldera and it looks like a marvelous painting. Santorini’s beaches feature white, red or even black sand and volcanic pebbles, spectacular rock formations and beautiful lunar landscapes. 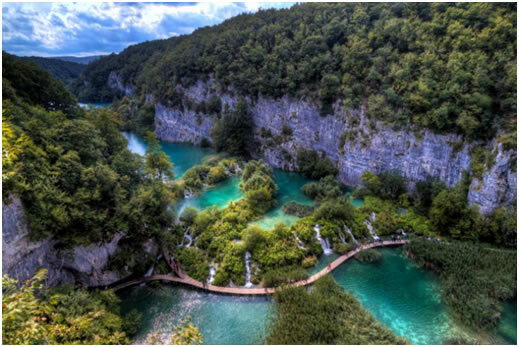 This is the oldest national park in Southeast Europe and the largest in Croatia. Plitvice - Lakes National Park is situated in the mountainous karst area of central Croatia. The heavily forested park has sixteen crystalline lakes that tumble into each other through a series of waterfalls and cascades. Thousands of butterflies fly above the wooden - footbridges and pathways that snake around and beneath and across the rumbling water. The first temple for Buddha was built in China in the inspiring surroundings of the summit Mount Emei. More temples were built on this site, which made it into a holy site of Buddhism. 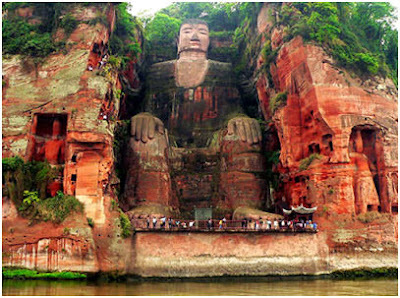 The best part is the Giant Buddha that is carved on the face of the hillside and it looks down upon the merging of three rivers. Mount Emei is also popular for its diverse vegetation. This is the most celebrated island in the South Pacific. Romantics lay claim to this island where the majestic Mount Otemanu touches the sky. 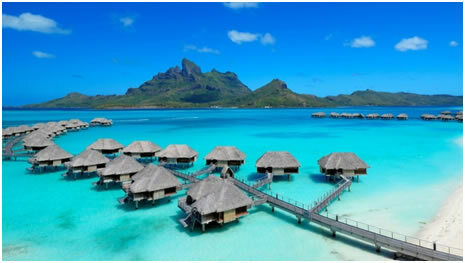 Bora Bora'a tropical slopes and valleys are filled with hibiscus blossoms and the palm trees circle the lagoon like a necklace. Pearl white sand beaches run into emerald green waters where colourful fish animate the coral gardens. The beauty of the island is unrivaled and its fame unwavering. It is one among the few places that everyone hopes to witness in their lifetime. Angkor is an important archaeological site of Asia. It stretches over 400 square kilometers and contains the remains of the Khmer Empire. 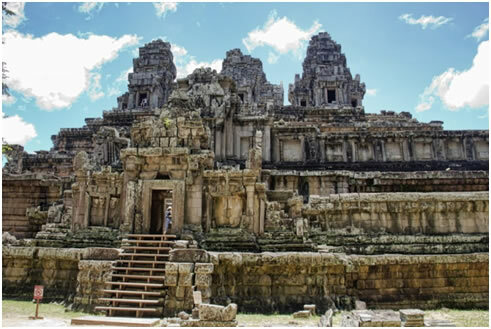 The remains include famous temples with their countless sculptural decorations, and several hydraulic structures like basins, dykes, reservoirs and canals. The park is inhabited and many villages are scattered throughout the park. Although we have narrowed down these places as the best places to visit in the world, it is a big world out there, filled with more fantastic places ranging from ancient temples to crystalline waters and romantic islands.